In Greek mythology Hades is the Lord of the Underworld. 'Hades' has also been used to refer to the dwelling place of the dead, over which the Lord of the Underworld presided. 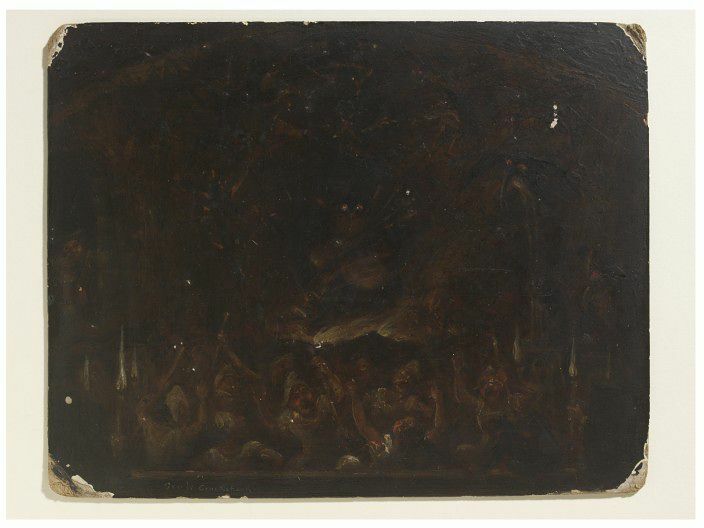 In this painting by George Cruikshank (1812-1870), it is unclear as to whether the Hades of the title refers to a person or a place, because central to the chaotic scene is a large and menacing creature. 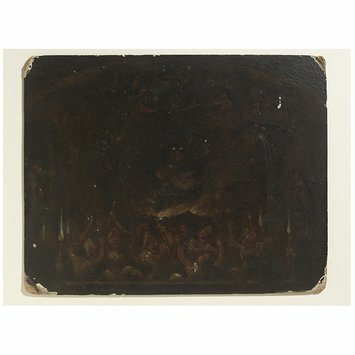 Although it is unconnected to this oil painting, Cruikshank also produced an engraved Comic Alphabet, 1836, for which the letter 'O' was illustrated by a scene of the hero Orpheus playing a violin for Hades and his wife Persephone. Cruikshank is best known for his humorous and satirical art work. Many of his images deal with the darker aspects of life. He also worked as an illustrator for the author Charles Dickens (1812-1870). 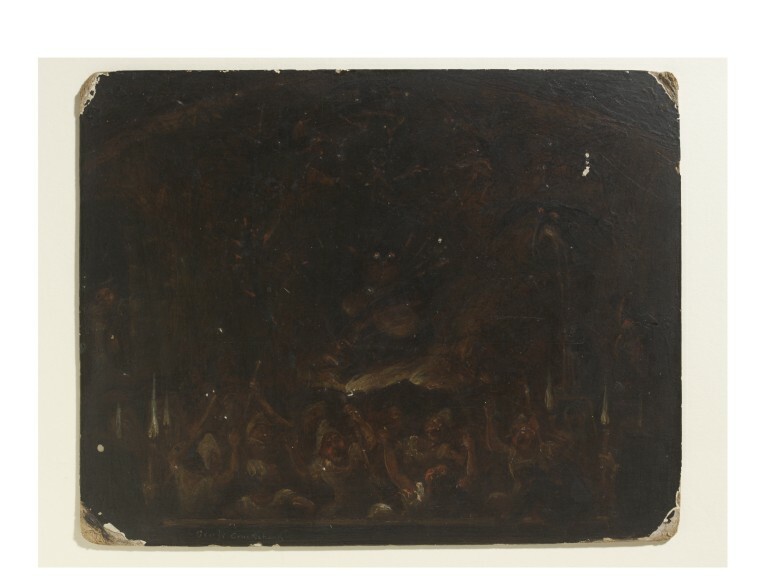 Darkened scene of Hades depicting a crowd in the foreground and a large-bellied central figure surrounded by imps and elves. Signed 'George Cruikshank', bottom centre left. Oil on millboard. On the back are skectches in chalk, including a full male figure and a male head.